The ACM Europe Council has named Chris Hankin as its new Chair. Hankin, Co-Director of the Institute for Security Science and Technology and a Professor of Computing Science at Imperial College London, will serve a two-year term through June 30, 2019. He is also Director of the UK's Research Institute in Trustworthy Industrial Control Systems. Hankin was Editor-in-Chief of ACM Computing Surveys from 2007 to 2013, and currently serves on the ACM Publications Board. He recently moderated a panel discussion on the key challenges in cybersecurity at the ACM Europe Conference. Read an interview, part of the "People of ACM" series. See related article from Imperial College London on Chris Hankin. Vice Chair Judith Gal-Ezer, Professor Emerita in the Mathematics and Computer Science Department at The Open University of Israel. Gal-Ezer has been active on several ACM committees: EUACM, the European Policy Committee; CECE, the Committee on European Computing Education; and the ACM ISEF Award Committee, as well as several positions on the Computer Science Teachers Association (CSTA). In 2007 she received the ACM SIGCSE Award for Outstanding Contribution to Computer Science Education. Secretary Joaquim Jorge, Professor of Computer Graphics and Multimedia in the Informatics Engineering Department at the University of Lisbon, Portugal. He is also Scientific Coordinator of the Research Group on Visualization and Multimodal Interfaces of the Institute for Computer and Systems Engineering. Jorge has been the ACM SIGGRAPH Small Conferences Committee Chair since 2014, and was ACM SIGRAPH Education Committee Member from 2002 to 2011. He has served on the program committees of several ACM conferences and is an ACM Distinguished Speaker. Treasurer Panagiota Fatourou, Associate Professor in the Computer Science Department at the University of Crete. She is a member of the Executive Committee of ACM-W Europe (ACM-WE). She has served as general chair and on program committees for the ACM Symposium on Principles of Distributed Computing (PODC), has been involved in organizing womENcourage conferences, and is an ACM Distinguished Speaker. ACM-W Europe Executive Committee (ACM-WE) Chair Natasa Milic-Frayling, Professor and Chair in Data Science, Faculty of Science at the University of Nottingham, UK. She is also a member of the ACM Europe Council. The previous ACM-WE Chair, Reyyan Ayfer, moved to become Vice Chair of ACM-W. Highlights of the ACM Europe Conference held in September are now available on video. Watch sessions from the High Performance Computing and Cybersecurity tracks, including panel discussions, a Turing Lecture by Silvio Micali and an HPC keynote talk by ACM Athena Lecturer Katherine Yelick. An album of photos from the event is also available. On 7 September, a panel on Cybersecurity examined current trends and discussed issues in research, education and ethics. The panel was moderated by the new ACM Europe Council Chair, Chris Hankin (Imperial College London) and included panelists from European agencies, the USACM Public Policy Council and EUACM, the ACM Europe Policy Committee. 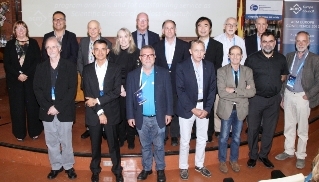 On 8 September, an HPC panel of top experts from the Barcelona Supercomputing Center, Argonne National Laboratory, Japanese national supercomputing center, Hartree Centre at the Science and Facilities Council's National Laboratory (UK), Chalmers University of Technology (Sweden), and Sun Yat-sen University/Beihang University (China) reviewed progress and current plans for the worldwide roadmap toward exascale computing. The panel was moderated by Thomas Skordas, Director for Digital Excellence and Science Infrastructure at the European Commission. 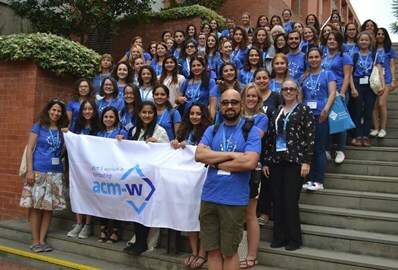 The ACM Europe Celebration of Women in Computing (womENcourage 2017) was one of four co-located events at the ACM Europe Conference. womENcourage had 206 attendees from 31 countries, 72 scholarships to attend the event, 74 posters, and 17 supporters that helped make it all possible. Participants enjoyed workshops in coding, programming and other topics; a career fair; a hackathon; and many opportunities to network. Read a report in the September issue of ACM-W Connections newsletter. View photos from the womENcourage hackathon. 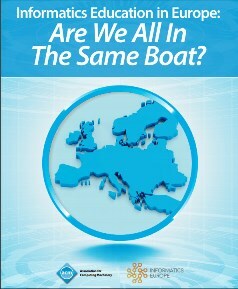 The report, Informatics Education in Europe: Are we all in the same boat? from the Committee on European Computing Education (CECE) was released jointly in May by ACM and Informatics Europe. The report makes recommendations in the areas of Informatics, Digital Literacy and Teacher Training. The first ACM Europe Summer School on data science was held July 13-19 in Athens. It was a very successful event with 60 student from throughout Europe in attendance. There were over 300 applicants. Topics covered included: Spatio-temporal analytics; urban analytics; Visual analytics; Social network analytics; Data science ethics; Privacy-preserving analytics; Streaming analytics; Text analytics; Health analytics; User analytics for recommender systems. The Committee of European Chapter Leaders Activities (CECL) was involved with the Athens Summer School on data science in helping to publicize it among the chapters, helping with reviewing the applications, and hosting a session to encourage the formation of new chapters. There are also plans for a high-level symposium on "Being Human with Algorithms" to celebrate the 50th Anniversary of the ACM German Chapter. People of ACM European Chapters is a new series of interviews highlighting the unique scientific accomplishments and compelling personal attributes of ACM chapter members in Europe who are advancing computing as a science and a profession. These bulletins, distributed bimonthly to ACM European members, feature leaders whose personal and professional stories are a source of inspiration for the larger computing community. Learn more about the chapters in your community by reading these volunteers' stories. The ACM Europe Council Best Student Paper Award was presented at three ACM-sponsored conferences: SIGSAC CCS Conference, Vienna, in October 2016; SIGGRAPH VRST, Munich, in November 2016; and ACM EICS, Lisbon, June 2017. 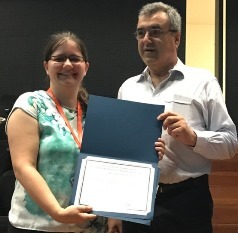 A fourth award was presented at the ACM-SIAM Symposium on Discrete Algorithms (SODA), Barcelona, in January 2017. The award recipients were presented with a certification and a prize of $500. The papers are freely available through the ACM Digital Library. Visit the Best Paper Awards site for more information. ACM MemberNet Europe covers news of people and activities of the ACM Europe Council.